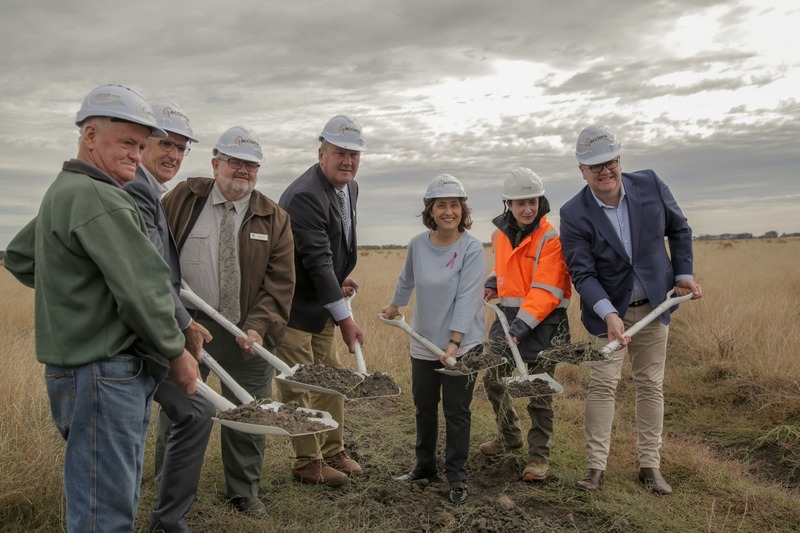 Construction has commenced on a new wind farm and an underground transmission line in Victoria as part of a project that will create 34 full time jobs. Once completed, the $275 million, 35-turbine Mortlake South Wind Farm – which is being built by ACCIONA – will generate enough clean to power 115,000 homes each year. Minister for Energy, Environment and Climate Change Lily D’Ambrosio, who visited the site south of Mortlake on Friday, said the wind turbine supplier for the project intends to establish a ‘Nordex Regional Hub’ in Victoria which will service Australian, New Zealand and South East Asian markets – creating 20 jobs in metropolitan and regional areas. She said the route for the underground transmission line will be finalised based on environmental, cultural heritage and engineering considerations aimed at minimising the impact of the wind farm’s construction and ongoing presence. “This wind farm will create local jobs, reduce greenhouse emissions and generate enough electricity to power more than 115,000 homes — boosting energy supply and bringing down prices,” the Minister continued.